Outlook fails to open or read an attachment in a number of cases. This involves some of the most common ones to the most complicated ones. 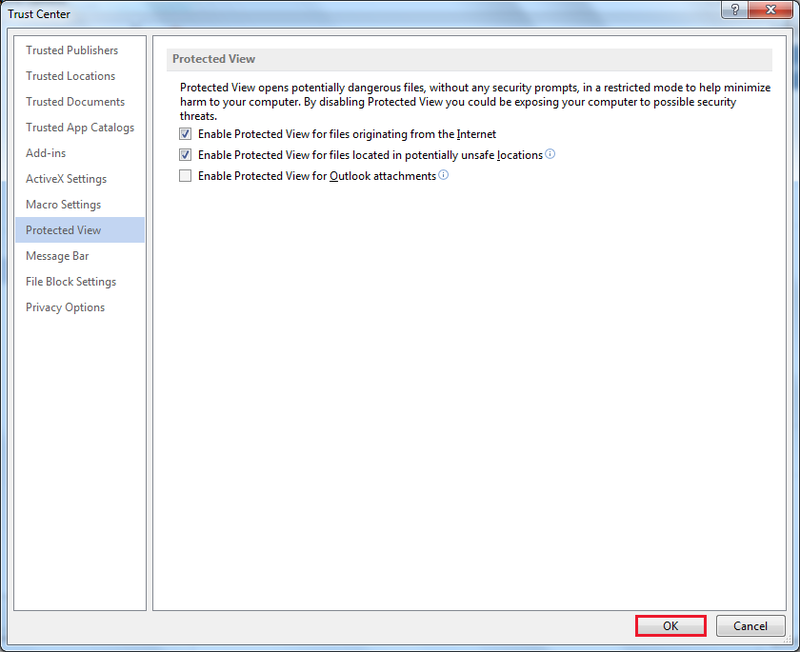 The common conditions include a corrupt copy of the file attached or the anti-virus blocking Outlook from opening any attachment that is not scanned. On the other hand, a user may face the error without understanding the cause behind it. Similar issues will be discussed here with a probable solution that prevents the failure from recurring. 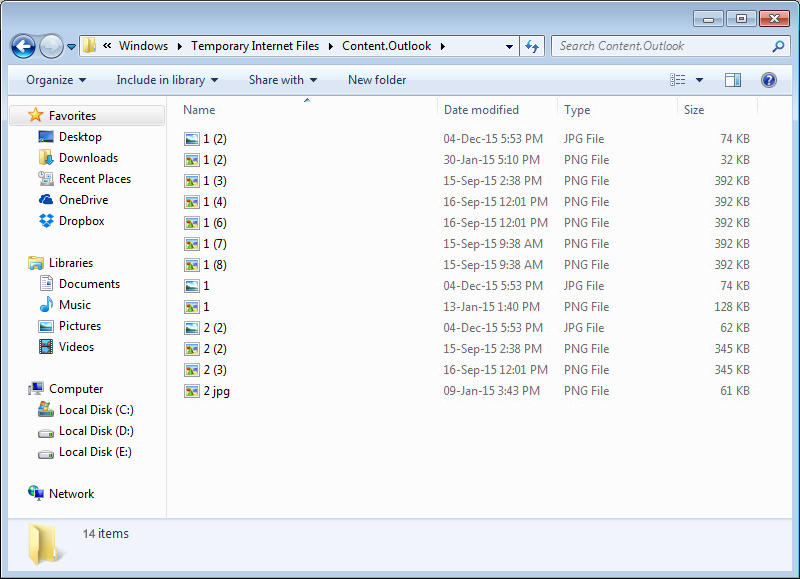 Either the Outlook temporary folder has become full of files received as an attachment in the mail. Or, the Protected View mode is by default enabled in Microsoft applications resulting in the particular failure of opening attachments associated to its application. Firstly, in order to prevent a condition where the folder is full of a temporary copy of the attachments received in mail, the user needs to clear the folder. Meanwhile, in the second situation you are supposed to disable the security feature. In order to check whether the temporary files are actually causing the issue, you need to visit the Secure TempoFolder on your machine. To do so, you can access this temporary folder of Outlook by typing 'shell:cache' on the Start menu. This will take you to the Temporary Internet Files folder; in it access the folder named 'Content.Outlook'. 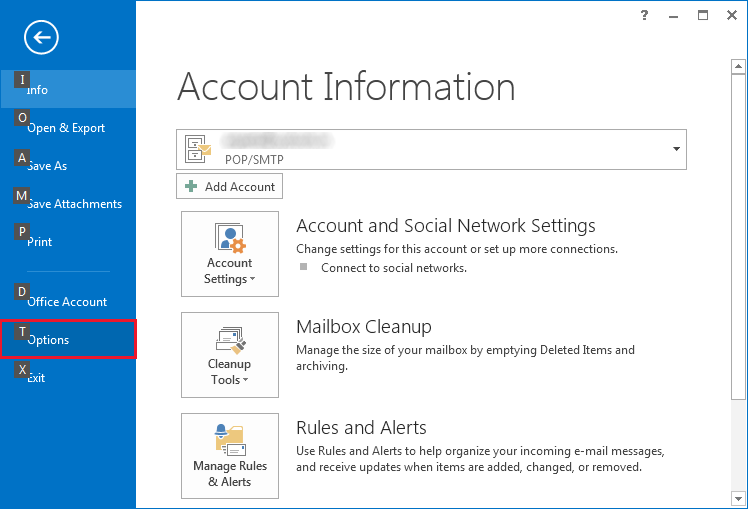 This will give you access to the temporary files generated by Microsoft Outlook for scanning attachments when directly opened on the client to be scanned before saving. Note: The described method is performed on a Windows 7 machine. These files are just a copy of the files you have accessed directly from your mail received on Outlook before saving them to the machine. Therefore, deleting them won't cause any harm to the copy that you have saved on your machine. Empty to the storage and check if you are now able to access and open Outlook 2013 attachments. 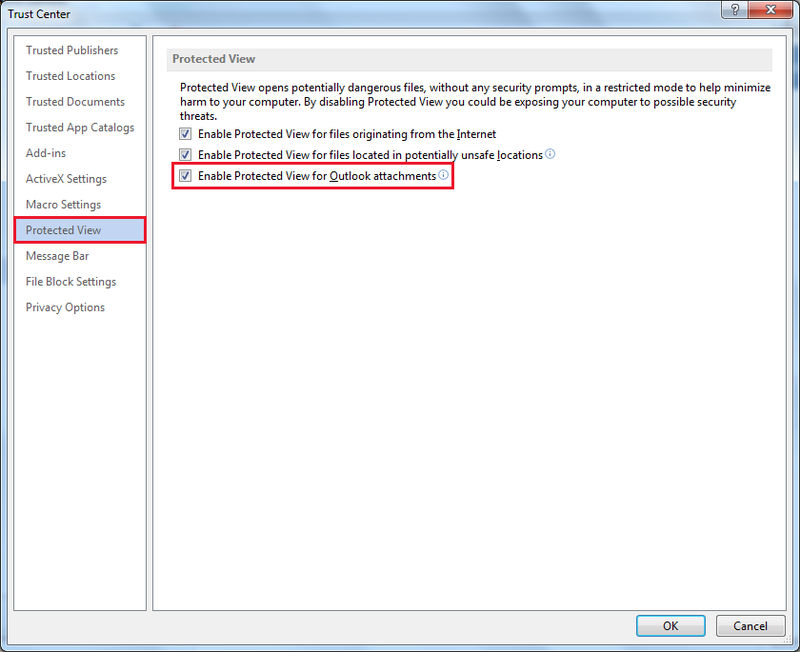 Now, if Outlook 2013 still won't open MS Office's attachments, you need to check whether protection is enabled for Outlook or not. For this, you are supposed to open any of the MS Office (document generating) applications (Word, Excel and PowerPoint). 1.) Go to the "File" menu and selection Options. 2.) 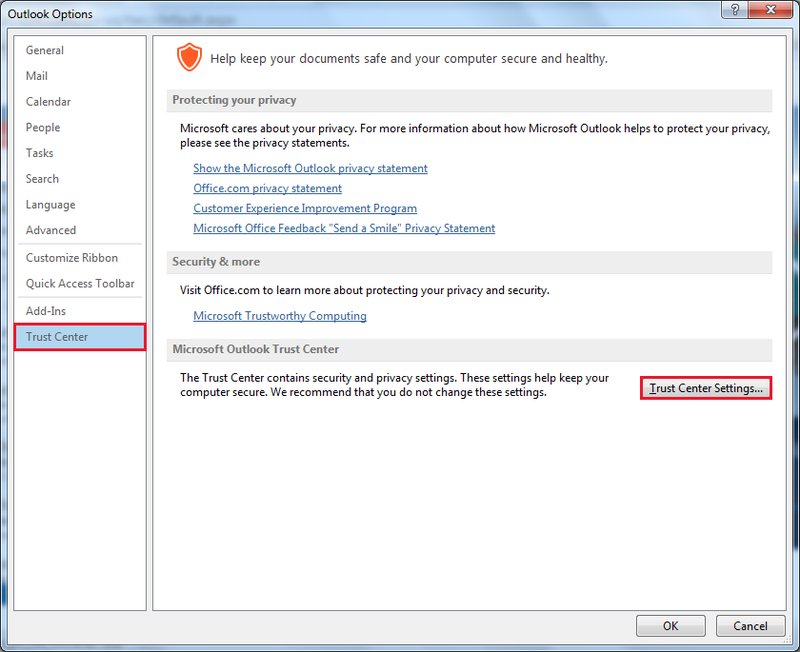 On the Options window, click on Trust Center and then click again on "Trust CenterSettings". 3.) Choose "Protected View" from the left and you will see a number of options for enabling protection on Microsoft based applications. 4.) Deselect the last checkbox for "Enable Protected View for Outlook attachments" and click on Ok.
Close all the opened windows and go back to check if Outlook 2013 won't open MS Office attachments still or now it does. If it does, the problem in this case was enabled protected view for Outlook based attachments (particularly MS Office based document files).